It’s a question we field frequently from potential customers, particularly as the weather turns cooler and the days grow shorter. No one wants to be caught unprepared to face chilly mornings, and changing propane suppliers can be done easily. If you’ve made the decision to switch suppliers, your first step begins with a phone call to Lin-Gas. Our customer service reps can help with setting up your account, including establishing credit and setting you up with a propane monitoring system, if you choose that option. A rep can meet with you at your home to assess the steps that will need to be taken, and can set up the necessary process to switch you over. If your current propane tank is leased through another supplier, you will need to make arrangements with that supplier to have that tank removed from your property. 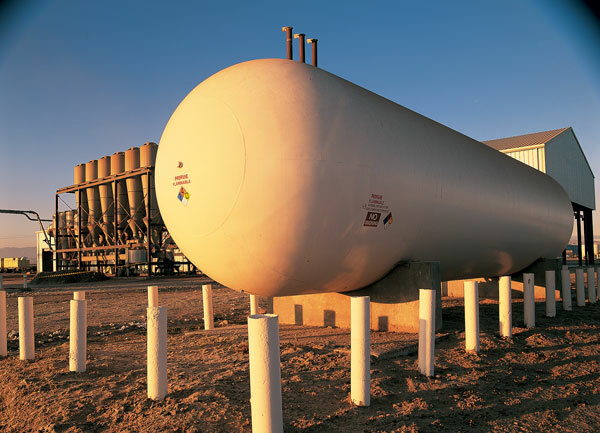 Lin-Gas cannot fill another supplier’s tank with propane. If the leased tank is an underground tank, you’ll need to contact your old supplier to dig it up and remove it. Lin-Gas will install any new tank equipment per the National Fire Protection Association’s standards. Lin-Gas does not fill customer-owned tanks and does not offer tanks for customer purchase. Instead, Lin-Gas offers tanks through a leasing program, assuring you that the tank installed on your property meets current, state-specific safety and inspection standards. If you want to switch to Lin-Gas propane but still have propane remaining in your existing tank, you will need to contact your old supplier to make arrangements for having your old tank removed and the remainder of the gas credited to your account. In the interim, Lin-Gas will install your new tank and get you started with our service. You do not need to wait until your old tank is empty before switching to Lin-Gas propane. Lin-Gas is available to our customers for 24-hour emergency service as well as non-emergency situations. If you’ve been considering switching to Lin-Gas, give us a call or contact us online and we can set the process in motion!